FIRST ANNUAL PACAW Inc. LEADERSHIP ACADEMY, SEPTEMBER 1-5, 2014. Dr. S. Adetokunboh Ayeni, President of PACAW Inc. conducting the session at the First Annual PACAW Inc. Leadership Academy on September 5, 2014 in the Primary School at Koro-Ekiti, Kwara State, Nigeria. The first Annual PACAW Inc. 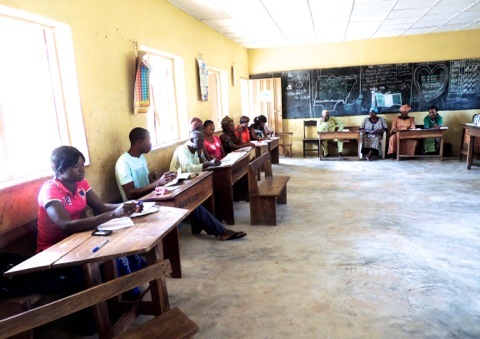 Leadership Academy in session in the Primary School at Koro-Ekiti, Kwara State, Nigeria on September 5, 2014. A section of the participants in attendance at the First Annual PACAW Inc. 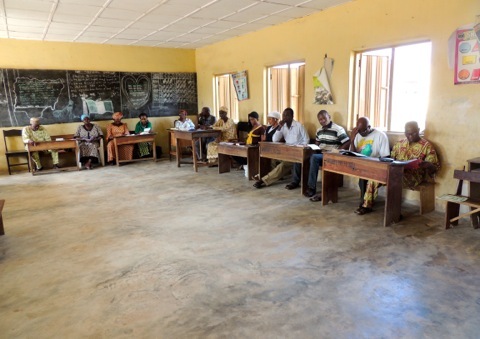 Leadership Academy at Koro-Ekiti Primary School in Kwara State , Nigeria on September 5, 2014. The Topic for Day 4 of the Academy was WISDOM, and the Topic for Day 5 was PUBLIC SERVICE. During the dialogues and discussions, it was emphasized over and over again that these values and way of thinking as revealed by the lives of the Great Men and Women we have studied, and the development of NATIONS WITH FAR FEWER RESOURCES THAN MOST AFRICAN NATIONS MUST BE PASSED ON TO THE CHILDREN IN THE PRIMARY SCHOOLS AND THE STUDENTS IN THE HIGH SCHOOL. Participants at the PACAW Inc. 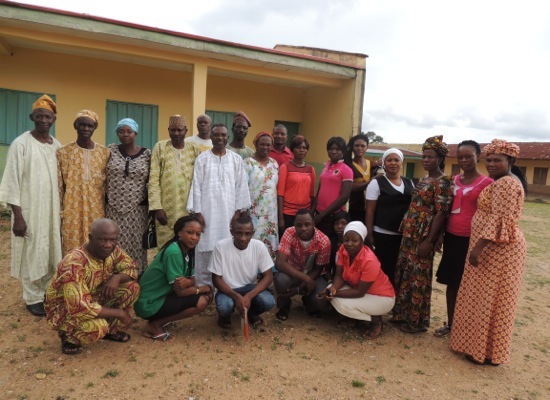 Leadership Academy in Kwara State, Nigeria in September 2014. Dr. Ayeni is in the middle row, fifth from left. 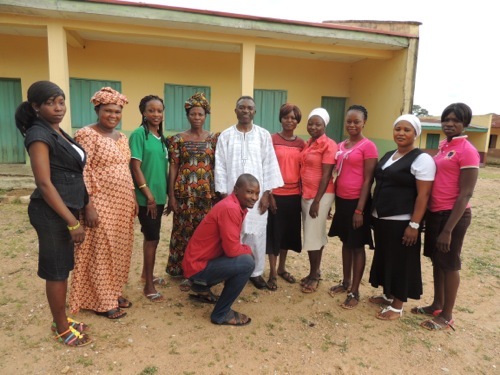 PACAW Inc. Teachers and Dr. Ayeni (center) at the PACAW Leadership Academy in Kwara State, Nigeria in September 2014. 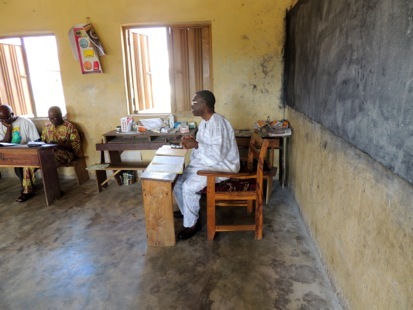 One of the computer teachers in the secondary school who also participated in the Leadership Academy is not present in this picture because he had to attend to some personal issues.